Does anyone know the effect of Quorn on the microbiome? Would you class it as a fermented food or a processed food? 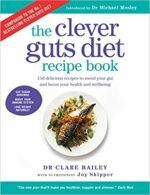 In answer to my own question if anyone’s interested, I’ve just found Quorn Cottage Pie in the Clever Guts Cookbook, so quorn must be good! Quorn is processed after fermenting, likely including sterilising so not a source of probiotics. It does have some fibre and is not loaded with sugara, refined carbs or oils so not bad for a processed food. Overall Quorn is acceptable within a properly balanced and very varied diet. However it is not a direct substitute for meat and fish because it doesn’t supply the same vitamins or minerals.